The critters may be attracted to warm and secure places where the squirrels may build their nests and have their babies. The squirrels are known to build their nests out of materials like leaves, dried twigs, scraps of cloth and hair, and this means that the nests make the area more flammable, especially if they get into the walls. There are many types of squirrels in the world and the most common nuisance for the homeowners is the tree squirrels. These will usually inhabit the attic and they can cause lots of damage. You can discover them since they make lots of noise within the area that they are living in. the reason as to why the numbers of squirrels tend to be so high is the fact that the females will usually give birth to a litter of around five babies twice every year. Also, the numbers of predators aren’t as many as they should be. 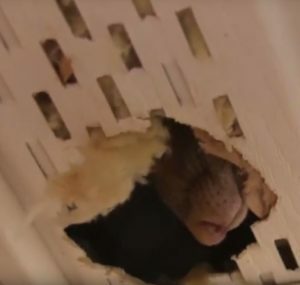 Because of the large population and the reduction of their natural habitat has led to the squirrels invading human homes so as to create a place for themselves. 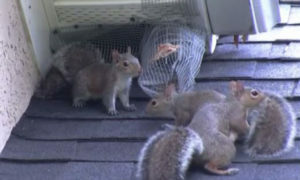 The warmth in the attic and the fact that the squirrels can climb encourage them to have babies and raise them there. When you have a squirrel issue, you may be thinking of the best way in which you can be able to get rid of them permanently. One of the most advertised methods that doesn’t really work is the use of repellents. There are so many types of repellents that are available in the market today but it is important that everyone knows that these repellents haven’t been proven to really work. Many companies advertise mothballs and the use of ammonia as one of the best way to get rid of the squirrels from the attic. This may work but only temporarily. The squirrels will eventually get used to the smell and stay on. Also, when there are mothers in the attic, they may ignore the smell altogether and stay on so as to raise their young. Moving the young ones can pose a great risk and they may weigh the greater of two evils. Ultrasonic sounds and light devices are also highly recommended but you should know that these don’t work either. One of the repellents that have witnessed some level of success is the use of eviction fluid. This is the kind of fluid that is made using predator secretions and urine so as to make the mother think that the young ones are in danger. Usually, the mother will avoid trouble and move the young ones.